From the outset, with Patrick being informed of the deaths of his sister’s family and the horrific aftermath being presented in a series of tableaux, it seems as if Lavender isn’t interested in offering viewers another generic rural ghost story. But that opening sequence, culminating in the discovery of a clearly traumatised Jane, unfortunately marks the beginning of the end in terms of originality. Jane’s plight, going from being forgetful to being plagued by supernatural events and visions, is played out in too flat a manner for it to be entirely effective. While the script – by director Gass-Donnelly and Colin Frizzell – takes its time in revealing the details of just what happened in 1985, it does so in a measured, unhurried way that robs the movie of any appreciable pace or momentum. This doesn’t even allow for a slowburn approach to the material, and instead, has the opposite effect, making the viewer wish some scenes would hurry up, while wishing others wouldn’t repeat motifs and experiences that Jane – and we – have already witnessed over and over. As a result, the central mystery is treated with sincerity but lacks verve, and the characters are forced to repeat conversations and actions that harm the movie’s narrative structure. When presenting supernatural events on screen, many directors and screenwriters adopt a kind of “kitchen sink” approach, and throw in scares and jolts and all sorts of shenanigans because they might look good (or cool), and because even a cheap scare can be a winner. Lavender has a number of these moments, such as when adult Jane and her younger sister, Susie (Abbott), hide under a sheet in the stables. As something wicked comes nearer – cue heavy footfalls – Susie urges Jane to run, and when she does the sheet becomes more voluminous than it should be and when she finally escapes from it, she’s in the middle of a field. 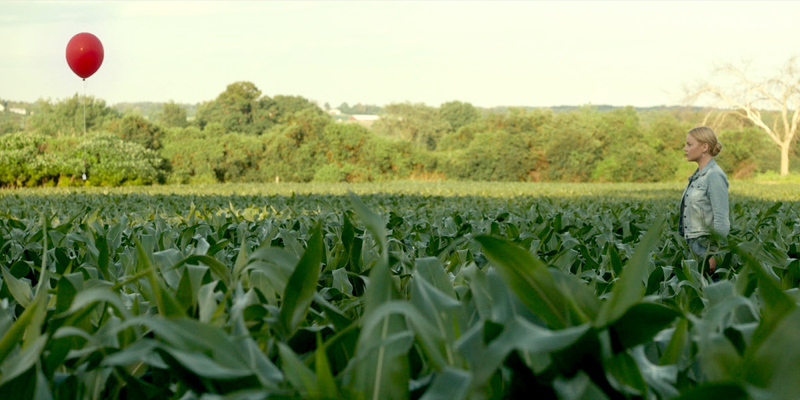 The juxtaposition between the expanse of the field after the confines of the sheet works well, but in terms of dramatic effect, it makes no sense (we already know Jane’s mental state isn’t the best). Gass-Donnelly works hard to give the movie a tense, unnerving atmosphere, and employs a grimly portentous score from Colin Stetson and Sarah Neufeld to help matters along, but the material is too thinly stretched in places, and too flatly handled, for their efforts to be successful. By the time things pick up for the climax, and some energy is injected into the proceedings, some viewers might have already taken their leave. 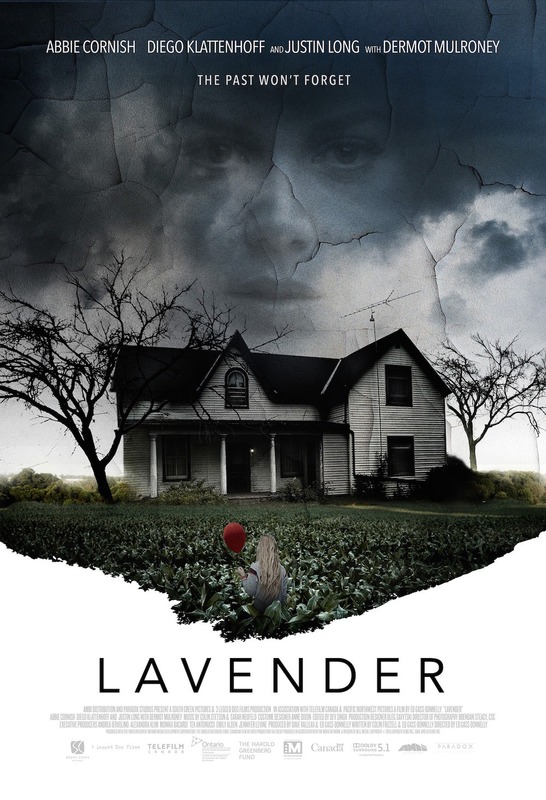 Rating: 5/10 – with the performances proving merely adequate (Cornish, though, makes a virtue of appearing blank-faced), and the script veering off at odd tangents at odd moments, Lavender is a lukewarm psychological horror that doesn’t follow through on its initial promise; tiresome in places, and with a central mystery that shouldn’t come as a surprise when it’s exposed, the movie struggles to be consistently interesting, and passes on several opportunities to better itself.